Over the years, it has been proven that using influencers is a very effective way for brands to ignite engagement on their digital platforms, drive brand awareness, and reach a variety of audiences. To support brands and influencers, Facebook will soon roll out the ‘Brand Collabs Manager‘ Tool which is currently available to some brand creators. This tool will help brands find influencers, who have 25,000 to 8 million followers, with similar audiences based on different demographics and factors. To make it easier on brands to find the right match, this tool will “also have access to insights and data, making it easier for brands to assess their actual reach and capacity”. Identifying the right influencers is crucial. The tool allows you to see their audience reach, and provides you with a percentage match based on who aligns with your brand values, vision, and purpose. Keep in mind that influencers that have a larger number of following are not always the right ones for your brand. Quality trumps quantity. It is important to remember that exceptional content always wins over all, even with influencer marketing. Focus on the content they publish and compare it to your brand. Will that work in representing your brand? Facebook has been going through many changes to filter out fake accounts and content because their users want authenticity from brands. Since authenticity is the key here, it is important to choose influencers who will be brand ambassadors. “Instead of partnering with big-name influencers for temporary projects, invest in establishing genuine, long-term relationships with those who truly align with your brand’s vision”. When you invest in your partnership with an influencer they will be even more invested and loyal to your brand. That is the kind of relationship you need. Brands need to become more personalised so consumers can relate more. Take advantage of the incredible amount of data and take your personalisation efforts up a notch. This new Facebook Tool will open up doors for a much better targeted experience. When all is said and done, and after all the efforts are put it, it is essential to track your performance. To make sure that the partnership between your brand and the influencer is working the way you want it to, frequently measure your data and analytics to see how users are reacting to your campaigns. This of course will help you understand the type of content that works with your followers and which type of content does not work. When you track your performance, it also allows you to see which CTAs engage your followers and which do not. Influencers are becoming a growing and important part of any successful strategy around digital marketing and Facebook’s new ‘Brand Collabs Manager’ Tool is believed to maximize the quality of partnerships between brands and influencers, if used right, and drive better ROI. Once you’ve struck the right balance between influencers and your campaigns, it’s time to look at how you are generating business leads. A great tool that we’ve recently come across is Leadfeeder. Learn about the benefits of paid ads and how important it is to craft good content for your website to generate effective leads and generate sales with a blog piece by them that’s one of our favourites. Check it out here. That’s your weekly social media update! 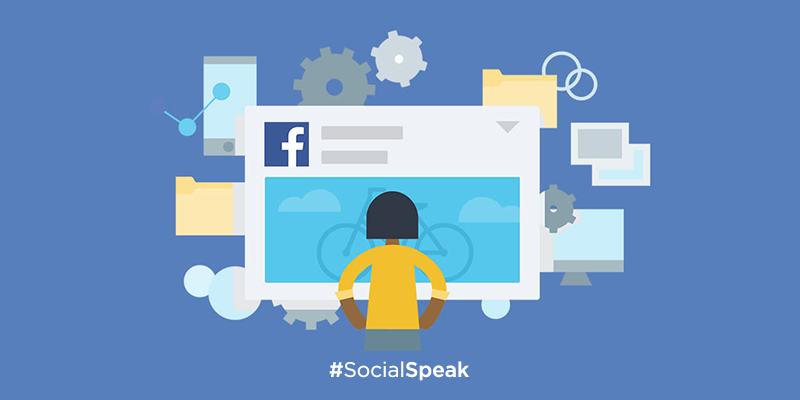 Stay tuned to keep up-to-date on the most important social media changes and updates with #SOCIALSPEAK every week.